Stephen Twist has been in practice as a barrister since 1979, in London, York and Newcastle upon Tyne. He has undertaken high profile fraud cases at the Central Criminal Court, and has assisted the Parliamentary Information Technology Committee (1982), the Institute of Internal Auditors, and the National Computing Centre on computer fraud and security. He now divides his time between the family courts, statutory regulation, and working as Arbitrator and Mediator. 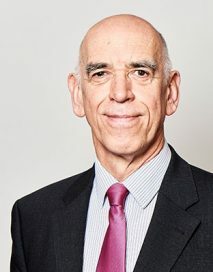 He was appointed Fellow of the Chartered Institute of Arbitrators in 2000, an accredited Commercial Mediator with CEDR, a panel mediator with CIArb and formerly Mediation UK, and a member of the Dispute Resolution Group at Dere Street Chambers. For the General Council of the Bar he piloted the first two BarDIRECT schemes, giving direct access for the legal services of the Bar to corporate and institutional clients. He is a former member of the Bar Council Public Access Committee. Stephen has practised as a barrister on the North Eastern Circuit since 1988. He is listed in Debrett’s People of Today. Professional area: Barrister: litigation, arbitration and mediation. Practice area: Administrative law, Professional Regulation, Family. Services: Legal advice, services as independent arbitrator and mediator, representation in the English courts. Stephen completed CEDR training as a mediator (1999), advanced commercial mediation training (2001), community, family and employment mediation training (2003), NOCN Level 3 mediation skills (2004), restorative practices training with IIRP Europe (2014), and is listed with CEDR London, Chartered Institute of Arbitrators London, Mediation UK (formerly of Bristol), Bar Council, Court of Appeal, and Dere Street Mediation Group. He has triple qualification as a barrister, arbitrator and mediator in commercial, family, community and employment fields. He was a guest presenter on ‘ADR Systems for the Public Sector’ at the CEDR National Conference 2000, a former member of CEDR’s public sector working party, and a former disability conciliator with the Disability Conciliation Service. He is a director of ‘Divorce Without Pain’, JAST Public Sector Mediation, and a former non-executive director of UNITE Mediation Ltd, the premiere regional mediation service for the North of England. Stephen is a key practitioner in the restorative justice field, assisting in the development of schemes throughout Britain. Although involved in the whole area of dispute management, in industry, commerce, the public and private sectors, Stephen’s main focus is in non-court based dispute resolution. He has been responsible for developing new applications for regional authorities and the Home Office. Stephen has worked with numerous public authorities in the development of ADR for their professional standards, complaints and grievance processes, involving internal and public disputes. He also undertakes work place mediation, health service conciliation, family conflict management, early neutral evaluation and expert determination. On a day-to-day basis Stephen deals with a wide range of company, partnership, commercial, employment, inheritance, family and property disputes, including family finance. He records a considerable number of meditations with a 90% settlement rate. Stephen travels countrywide in relation to mediation issues and offers consultancy services in relation to dispute management, international e-mediation (for which he was a founding practitioner) and conflict risk assessment. Stephen acts for a wide range of domestic and international clients in relation to dispute resolution, and is commonly appointed as an independent neutral in the UK. He is a member of the European Forum for Restorative Justice. Stephen has practised in family law throughout his career at the Bar, and this remains a substantial part of his practice. He has represented children charged with homicide of a parent (R v Howells and R v Walton), and those with significant disability (R v Alani: Pinderfields Hospital murders). He now undertakes family work in all areas: public and private law, mostly for parents, carers, grandparents, and guardians. Whilst regularly appearing in care cases throughout the North of England, Stephen also undertakes private law residence and contact cases, including disputes involving foreign jurisdictions. Stephen specialises in family finance cases, negotiation and representation, and managing challenging clients from the professions. He has particular experience in dealing with corporate and partnership assets, trusts, pensions, Wills, inheritance and intestacy. Stephen has advised on disability and deafness issues since the 1980’s when he undertook training in signing at the City Literary Institute, London, leading to CACDP Part 1 in BSL. He is a former member of the Board of Management for England of the British Deaf Association and has lectured and presented on issues relating to the deaf. His broadcasts include BBC ‘See hear’, ITV ‘Listening Eye’ and deafness documentaries for Channel 4. In April 2001 he worked with Craig Flynn for ‘Deaf Relay’ at Lancashire College. He is interested to protect and facilitate access for deaf people to human rights and public services. He was keynote speaker at the national conference for the British Society for Mental Health and Deafness in June 2001 in Glasgow dealing with access to justice, and assists with the training of relay interpreters. Stephen has represented many deaf clients on a wide range of topics and is one of the few hearing legal professionals to have worked in this field for over two decades. He was a national conciliator with the Disability Conciliation Service under the DRC from 2004 to 2006. Since leaving the Metropolitan Police Service, Stephen has maintained a close professional network with police services and police officers throughout the county. He has advised Cleveland, North Yorkshire, Northumberland, Cumbria and Derbyshire Police on professional conduct issues, administrative law matters, licensing (liquor and firearms) and a range of other topics such as data protection and human rights. He has had involvement in some of the most serious, sensitive and difficult police misconduct cases in the North of England, including Operation Eagle, Pool and North Yorkshire police corruption cases. He sits as an independent legal adviser to police misconduct panels and wrote ‘A Guide to Panels under the Police (Conduct) Regulations’ published in March 2004 by the Police Foundation. His other publications include the Home Office presentation paper ‘ADR Management and Resolution of Complaints in relation to Police Misconduct’ 1999. In 2004 he acted as a presenter to the strategic command course at the Scottish Police College, Tulliallan Castle, Fife.